On 8th July the working group on the future of Europe organised by the Policy Planning Department (CAPS) of the French Foreign Affairs ministry and the International Research Centre (CERI) at Sciences Po met to exchange views on Europe's asylum policy with Vincent Cochetel, Europe Bureau Director of the UNHCR. Vincent Cochetel put forward an analysis of the varying forms of the present crisis taking place in Europe: a crisis linked to the massive influx of refugees into Europe, one of responsibility and solidarity between States, of trust, of values etc.. In his opinion the crisis in which Europe now finds itself is deeply political: it challenges the values of solidarity and trust between the EU's Member States. Vincent Cochetel started his presentation by explaining that solutions had to be found outside of the rigid framework of the European zone of trust. Migratory issues are not recent issues either. They have been ongoing since the first disaster in October 2013 in Lampedusa. He aimed to specify the determining factors of the crisis as the HCR sees it. Firstly he reviewed migration figures to illustrate that we are not in a quantitative crisis linked to a massive influx of migrants into Europe. In 2014 59 million people were displaced in the world by conflict. Hence there were 42,500 displaced people per day across the world due to fighting in their country. 14 million refugees are under the HCR's mandate and 5 million under the UNRWA mandate (United Nations Relief and Works Agency for Palestine Refugees in the Near East). These figures have risen significantly: 13 million more in comparison with 2013. In 2013 there were 32,000 displaced persons per day, in 2012, 23,000, in 2011, 14,000 and in 2010, 10,000. Since 2010 we might note therefore that the number of displaced persons has quadrupled. The destination is not often Europe. Most people are displaced within their own country. Migration most often occurs in and towards developing countries (86% of the displaced), most of whom have a GDP per capita below 5,000 $. Hence the figures in Europe are extremely modest, apart from the 1.3 million in Ukraine and some residual cases in Azerbaijan, Bosnia- and Georgia (South Ossetia/Abkhazia). The first country of asylum in the world is Turkey. This has gone unnoticed but at present there are 1.8 million refugees in Turkey. This simple observation should serve to guide the European Union's response. Turkey is both a reception and transit country. The arrivals by boat via the Central and Eastern Mediterranean are a well-known phenomenon but the numbers have risen significantly. In 2014, 219 000 people arrived by sea in Europe, of which 43,500 in Greece, 175 000 in Italy, 4,250 in Spain, 568 in Malta and 339 in Cyprus. Half of these people are migrants who do not need international protection because they are not fleeing countries at war. They are rather more economic migrants from Western Africa. The solution for these people is a rapid return to their country of origin. Vincent Cochetel insisted on the fact that an effective asylum policy cannot be set in place without a policy of return. However this does not exist in Italy and is only in its early stages in Greece. The others however need international protection. These figures are easily manageable at European Union level in view of other crises in Europe (as in the Balkan crisis, or that in Hungary in 1956 during which 220,000 people arrived in Austria in just three weeks). During these various crises Europe managed to dispatch the refugees (120,000 Hungarians were dispatched across Europe in ten weeks). At the time there was no common European policy but solutions involving solidarity were adopted. The influx of migrants and refugees into Europe is therefore a manageable issue as far as figures are concerned. 2. A crisis of responsibility? Although the problem does not lie in the number of migrants arriving in Europe, a number that Europe is quite capable of managing, a closer analysis shows us that the problem lies rather more in a crisis of responsibility. Not all of the States are not playing ball and do not apply the established rules and some have set up inadequate asylum systems. Whilst the media focus on Italy we have neglected that fact that in 2015 most arrivals have been in Greece. This redirection is linked to the worsening of the situation in Libya and a wave of panic within the Syrian community. It is also due to the impact of the announcement made about the Union's naval mission (EUNAVFOR Med). We have observed departures from Turkey towards the Greek islands. In July 2015 17,000 people arrived within a time span of two weeks. We cannot be sure that there will not be massive departures from Turkey in the future (between 120 and 150,000 people might leave Turkey this summer). This is also linked to Turkey's domestic situation and the general elections that took place on 7th June. The country seems to be intending the launch a military operation in northern Syria. Turkey has been brave enough to introduce a legislative framework for the management of the temporary protection of Syrians. Secondary legislation on Syrians' right to access the Turkish labour market was impossible in the pre-electoral context. The political situation today means that we cannot expect any legislation like this in the short term. At the same time we see that the urban populations of Syrian refugees in Turkey are increasingly vulnerable. This impacted Europe immediately. Since 2012 Greece and Bulgaria have set in place barriers to prevent border crossings. Asylum cannot be gained on border posts. And so migrants and refugees are leaving by boat. The Turkish authorities have been countering these massive illegal departures on their southern shores. But the control of small boats on the Greek islands is very difficult. The European Union is offering nothing to Turkey right now: there is no prospect of enlargement and dialogue in terms of the liberalisation of visas is not moving forward. In this context Turkey has no interest in cooperating any further in the implementation of a one-way agreement. However the displacement of the traffickers' business model to the Eastern Mediterranean could cause indescribable chaos in Greece: there is no longer any registration system with fingerprinting in Greece; migrants arrive on the islands and are transferred to Athens, then to the Former Yugoslav Republic of Macedonia (FYROM), then Serbia and Hungary. In Hungary a new fence is being built. It is a quirk of history - that an "Iron Curtain" is being erected after a 59 year interval to prevent people entering, rather than leaving the country. Serbia and Macedonia wonder why they should settle the problem within their territories whilst the EU is not settling it in Greece. The HCR believes that it is up to Europe and not each individual country to legislate. Greece must be helped because it has no crisis management capacity. A support plan was set up six years ago. But this corresponds to 1,100 places, whilst 65,000 people have arrived in Greece since the beginning of the year (even though we believe that of this number 90% have moved on). For the time being the Greek authorities do not want to introduce a coordination and decision making mechanism. Moreover a stronger distribution programme has to be established amongst the countries of the European Union. In the initial plan drafted by the European Commission distribution was supposed to be undertaken more in favour of Italy. The problem has now been transferred largely over to Greece. In Italy 60% of the arrivals are not refugees in need of international protection. They are economic migrants. In Greece however 85% of the arrivals are refugees, mostly from Syria, Iraq, Afghanistan and Palestine. The Union's plan must be adapted to this change in flow. The HCR has observed that countries have not implemented the community acquis in terms of asylum. Often there is no registration system or protection on the Union's external border. Italy and the destination countries are not listening to one another: Italy places emphasis on solidarity and the countries in the North (50% of the refugees are aiming to reach Sweden and Germany) emphasise the introduction of the community acquis. There have been minimal, voluntary based agreements for the last two years. 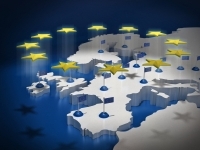 The European Union intends to introduce "hotspots" with a pilot project in Sicily. For the time being Italy is a transit point for 50% of the arrivals. The asylum system takes too much time, there is no legislation regarding a procedure that would enable rapid identification and the reception system is still decentralised and poorly managed from the centre. Several States are burying their heads in the sand, meaning that they are not adopting any measures to improve reception and registration conditions in the hope that the migrant or asylum seeker will go and live in the neighbouring State. The HCR is not prepared to take the responsibility of an EU Member State. It only intends to provide support to the Member States in their work to implement the community acquis. The States in the south are expecting the renegotiation of the Dublin regulation that throws responsibility onto the first country of entry. In reality this works very badly: the rate of transfer is 4% according to a European Commission study and the system is very costly. Therefore a relocation plan has to be devised to rebalance the Dublin Mechanism. However the lack of trust between States is preventing them from drafting a coherent European policy. Fingerprinting for example is also undertaken outside of the EURODAC system to avoid return. The question of the choice of country of asylum according to one's history and attachment must also be settled within the European asylum policy; discretionary clauses provided for in the Dublin Regulation are generally not implemented. This does not mean externalising asylum but thinking of a different model for the adoption of a common approach within the Union. We are not supposed to be acting within a national territory anymore, but according to a European approach to processing asylum requests in centre within Europe, on the points of entry into Europe. The problem is that the EU's Member States lack courage right now to be able to discuss this. There are many fundamental imbalances that may threaten the community acquis. The main danger is that of a return to national policies and to border controls. Finally Vincent Cochetel explained that there was a deep crisis of solidarity and values. Europe has always shown solidarity with the other countries of Europe (Hungary, Balkans, Poland). But this was contained on the European continent. Of course figures are not the same, but we cannot live with the idea that the problem can be limited to neighbouring countries. In Lebanon one quarter of the population are refugees. 20% of the inter-agency response plan has been financed in 2015. It does not have the means to guarantee a minimum service in the neighbouring countries. There must be more means to prevent a secondary movements. Legal access to Europe must be facilitated. Today someone who would be allowed access for example in virtue of family reunification has practically no chance of reaching Europe because the forms to be filled in and procedures are too complicated. Hence we have to work on ways to provide legal access to people who need protection in view of countering the flow and in view of sending out a message to refugee communities. This also means introducing cooperation mechanisms with third countries (Tunisia and Egypt), even if this is not their priority for the time being for understandable reasons. There is no rapid solution, and especially, no consensus. The problem is that most EU Member States do not feel concerned by this. In Central Europe, they play on the danger of Ukraine, but the message is not getting through. Hence there is a danger of a return to national policies with a certain number of heads of State making unacceptable declarations with one Prime Minister for example explaining that Africans should not be coming to Europe. These discourses are no longer being countered and there are few Member States which remind the others of their responsibilities and the values on which Europe was founded. In terms of future developments Vincent Cochetel was not very optimistic. He could see no commitment on Tunisia and Egypt's part - since they do not have the capability nor the will to manage these issues and prefer to focus on their own domestic security. However the Former Yugoslav Republic of Macedonia (FYROM) and Serbia are increasingly tense. Croatia and Slovenia may also soon be affected. A European response is therefore urgent and necessary. 1. Are the differences between Member States insurmountable? The best solution would be to harmonise the asylum policies of the various Member States both on a decisional and procedural level. At present there are major divergences, which are particularly visible when it comes to addressing the question of choice by the asylum seeker in the country of reception. In effect the clauses in the Dublin Agreement provide for the consideration of cultural and family ties in the redistribution of asylum seekers. But in practice this has not been implemented. The differences were seen during redistribution discussions after the crisis in Austria in 1956. After the conference convened by the HCR the countries of Europe came to a minimum agreement that enabled Member States which did not want to receive refugees to dispatch them back to Austria. This is in fact a rejection of solidarity between Member States: "we do not want to import a security problem onto our own soil." These differences emerge in the way asylum seekers are received. In Sweden and Germany asylum seekers have a six month access period to the country under rather favourable conditions. To prevent these differences should we not start by harmonising reception conditions rather than asylum request procedures? This effectively means differences in policy and public opinion towards asylum seekers. In Sweden there is a national, community consensus which means that refugees are not left homeless. Reception centres are therefore open all the time and they can choose between an accommodation centre or a six month work permit. In France there are accommodation solutions but the means are not given to provide easier reception conditions thereby enabling a more rapid integration of refugees and a rapid return of those whose asylum request has been rejected. The history and tradition of reception of each country explain these differences. In Eastern Europe, the Member States were never colonial powers and they have never experienced migration from Africa. Diversity is not considered to be a European value there. 2. What additional/alternative solutions are there to political asylum? Policies of dissuasion, which appear to be the most instinctive solution, are no longer effective. There are three types of dissuasion: the dispatch of unquestionable political messages, the reduction and even abolition of social rights for asylum seekers and refugees and the introduction of mass information programmes to dissuade future refugees. The problem with these policies is that they are no longer credible. Asylum seekers have access to the internet and are prepared to risk all, which is deemed less dangerous in comparison with the desperate situation in which they find themselves. We might open up other paths such as access to work or the creation of three month residency permits, like the policy introduced for the emergency reception of Ukrainians in Poland. The "blue card" directive went in this direction. But the criteria are so strict and the bureaucracy so complex that in the end very few refugees can benefit from it. Lastly we might introduce reception quota system like the Kyoto greenhouse gas reduction system. The Member States which do not want to introduce an asylum policy immediately based on a quota system should compensate the receiving States with financial aid. Participants were however unanimous: a campaign as in Australia according to the "No Way" model is not possible. The right to asylum is one that is acknowledged in Europe. We cannot transfer the responsibility of implementing this right to other States. 3. Does the same go for third countries policies? Although the solution is not foreseeable within Europe might it be possible in third countries with the aim of preventing departures both from the countries of origin and countries of transit? Regional Development and Protection Programmes (RDPP) have been introduced with the aim of "externalising the asylum policy a little" by supporting development in countries of departure and transit. The idea was that if there were primary education programmes in the refugee camps there would be fewer migrants taking the road to Europe. Therefore it was about creating good conditions in the countries of first asylum. But these have to be considered in terms of flexible frameworks on which the multilateral and bilateral should align themselves. These are long term programmes. How can we ask third countries to introduce policies that we are incapable of introducing in Europe? The Former Yugoslav Republic of Macedonia (FYROM) is notably an extremely fragile country that could suffer an inflow of migrants towards Greece. But it is not in its interest to act. The same goes for Egypt which does however have a tradition of hospitality and refuge (40 000 Syrian refugees in 2014, the second transit country and place of departure after Libya in the central Mediterranean region). Regarding this issue however Egypt now has greater interest in stabilisation via domestic policy rather than via negotiations with the States of Europe. Dialogue has been broken off. The problem of introducing re-settlement programmes is that for the time being Europe is not offering a credible volume thereby enabling better dialogue these countries. In conclusion, Vincent Cochetel explained that we must not expect any major progress at the conference in Malta planned for the end of 2015. It is a question of will on the part of the Member States, in terms of implementing the community acquis including the introduction of effective return policies without which an asylum system cannot function, notably in terms of a policy of return. The States lack political will and effective communication regarding asylum. The problem is not purely technical, or one of cooperation with third countries but it is rather more political in nature.